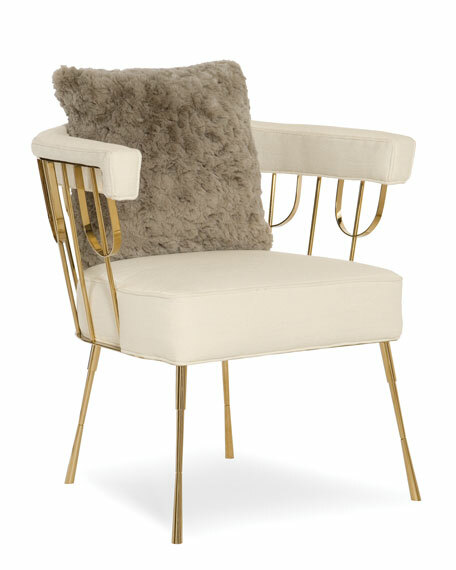 Enhance the mix in your favorite room by adding a statement chair. 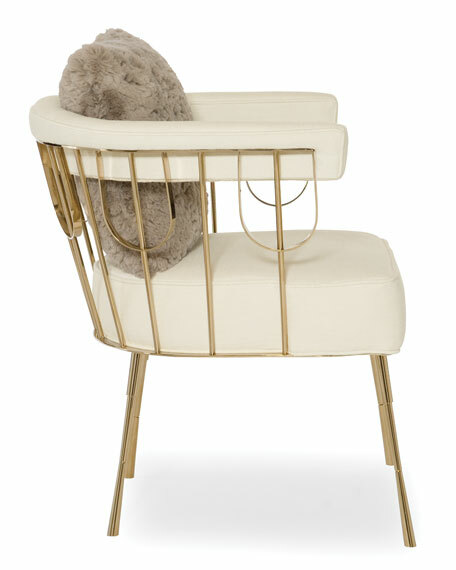 This chair's interesting Gold Bullion metalwork was inspired by a gate we discovered during our travels in Brussels. Its pleasing placement of steel dowels reveals just the right mix of metal against the creamy white upholstery. 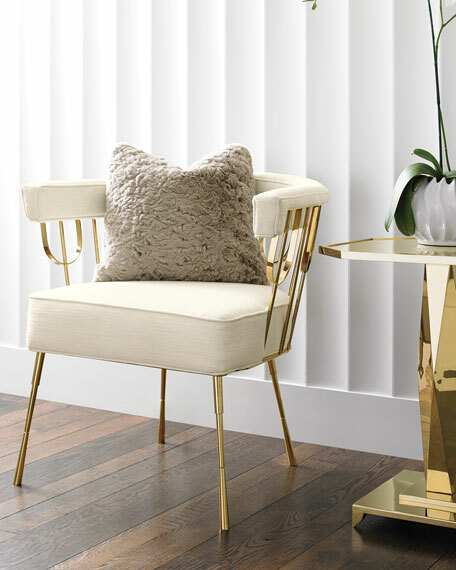 Minimalist in style yet supremely comfortable, it's the perfect chair to pull up to a desk or to add a little excitement to a staid mix of upholstery. Contrasting pillow in a fun faux fur adds comfort and style. Ultra plush down cushion; eight-way hand tied seat. Pillow and chair upholstery: polyester. Overall, 28.8"W x 27.5"D x 29.5"T. Inner dimensions, 22.5"W x 22"D x 19"T.
Boxed weight, approximately 54.9 lbs. For in-store inquiries, use sku #2554276.